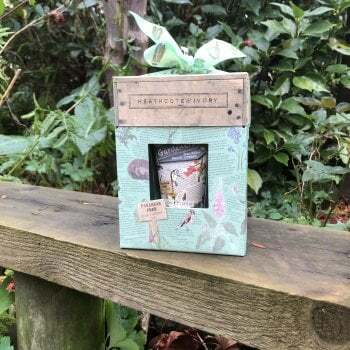 This Heathcote & Ivory hand care gift box from Ruddick Garden Gifts comes in a pretty gift box complete with ribbon bow. The gift box contains four 50ml hand creams - two shea butter hand creams and two hedgerow hand creams. One pair is inspired by the allotment with extracts of juicy tomatoes, mint and lemon and the other pair of hand creams takes its fragrance from the hedgerows with extracts of rhubarb, elderflower and blackberry. This gift set would make a fabulous gift for any gardener's in the family.